Technological advancements are changing the face of modern commercial construction, always for the better. Every day, new technologies are revealed with the purpose of improving efficiency, comfort and convenience. Many of these technological changes also bring about money savings for businesses and reduce the environmental impact of commercial buildings. When a business starts to outgrow its own space, business owners have a choice to make. Should they renovate the existing space, or build a new building? Both choices have advantages and disadvantages. The choice to renovate or build anew is not made easily. Commercial renovations can be very costly. Gauging a budget before getting started can help business owners to decide whether or not a commercial renovation is a realistic expense. Business owners who have never undergone a commercial renovation may need help when it comes to gauging the budget and establishing goals. 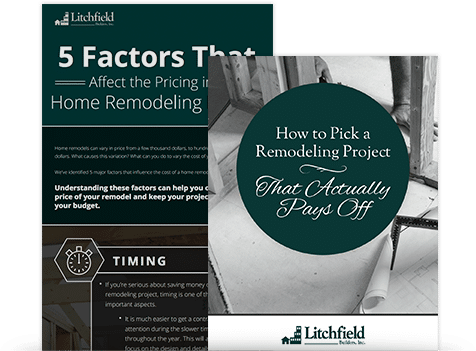 Knowing what needs to be accomplished and other details of the renovation can help the business owners decide what is affordable and what is out of their reach. A good commercial remodel will improve the functionality and appearance of a commercial space, whether that's an industrial site, an office building or a retail store. Commercial remodels typically add value by making the space more comfortable for customers, more efficient for staff or cheaper overall to maintain. In addition, commercial remodels are a way for owners to invest in their property. Without regular upgrades, many commercial spaces will quickly become obsolete. Commercial remodeling can make a big impact on a business's reputation and profits. Upgrading your commercial business can help improve everything from your building's appearance to the experience of working at and visiting your place of business. Whether you own an office building or are running a commercial enterprise like a restaurant or a shop, commercial upgrades can help your business be successful. At Litchfield Builders, we help our business clients plan and implement their business remodel. These tips will help business owners determine what they want from their remodel and what to expect from the renovation process. What's the ROI of a Commercial Renovation? There are many reasons that business owners choose to renovate their commercial spaces. Old, dated facilities can reduce customer confidence. In addition, some businesses that do not maintain modern facilities will encounter problems relating to maintenance and cleanliness. Over time, maintenance problems and inefficiency can cost businesses hundreds or even thousands of dollars. Many business leaders understand that investing in their business can help grow their company. In addition to improving the appearance and functionality of the business, many commercial spaces enjoy solid ROI after a commercial upgrade, making it easier to sell the business or rent out the space in the future. At Litchfield Builders, we help business owners to improve the functionality and appearance of their commercial buildings. Sustainability and green construction methods are growing in popularity. Businesses and homeowners alike use green building remodels to save money, reduce their carbon footprint and improve property value. For businesses, a green building remodel can show customers and employees that they care about the environment. For homeowners, making green building changes can attract buyers when it’s time to sell the property. However, sustainable building remodels are a relatively new type of construction, and consumers may know little about these building practices. Before making these types of changes to your house or business, it’s important to know how to make these changes properly to ensure that they’re done correctly and efficiently. A commercial kitchen remodel probably always sounds like a nice-to-have, but over time this type of renovation can easily become a must-have. Recognizing the signs that it’s time for a commercial kitchen remodel can help you take care of your business and can even boost profits. Failure to get a commercial kitchen remodel can slow productivity at your business and can even lead to reduced profits over time. At Litchfield Builders, we work with business owners and managers to help them upgrade their commercial kitchen. For business owners who feel overwhelmed the midst of this big project, we help them devise a project that will meet the needs of the business. Below are five signs that your business could benefit from a commercial kitchen remodel. In order to meet the needs of a restaurant or a similar commercial operation, a commercial kitchen must be well designed. Without up to date appliances and efficient layout, your commercial kitchen could slow down your commercial operation, wasting company money and reducing efficiency. A good commercial kitchen remodel will solve problems and improve efficiency to ensure that your commercial operation is as profitable as possible. At Litchfield Builders, we help our customers realize their business’s potential. Starting with a consultation and remodel planning session, we help our clients make their commercial kitchen meet its maximum potential.